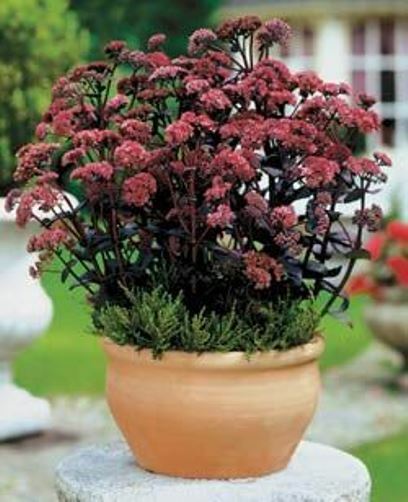 Sedum 'Purple Emperor' is an award winning selection with deep purple foliage in summer that turns almost black. Dusty pink flowers adorn the colorful clumps later in the season. Easy to grow and colorful. Early season color on immature plants is green, turning to purple.